Command injustice was today displayed when the court convicted and sentenced MDC Deputy National Chairperson Hon Tendai Biti for 'announcing results'. This is despite the fact that the court itself confirmed that Hon. 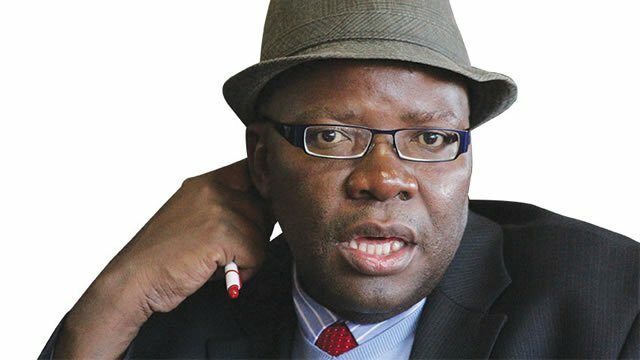 Biti had not referred specifically to any figures and that he had mentioned that he expected ZEC to make an official result which up to now has three sets of results. No one to day knows the exact figures. The military government is aware that the results announced by ZEC were not authentic, they are unreliable and untraceable. This is why the Zanu PF government is persecuting anyone who dares challenge the results. More importantly it is in sync with Mnangagwa's statements made in Rutenga over the weekend. The weight of the statements he made are that the military State will go after everyone who stands for facts and for justice in its pursuit of command injustice. Mnangagwa intends to persecute lawyers and doctors who assisted victims of state- sponsored violence and subsequent crackdown on known MDC activists. The MDC is aware that this conviction is part of that plan. In fact, the prosecutor stated before the court, on record, that they intended to use the sentence to scare “those who choose politics” as a way of life. The arguments had nothing to do with the law or the pursuit of justice but a shocking attempt to take away political rights. The MDC is concerned that Mnangagwa's statements in effect suspends the constitution, the principles of independence of the judiciary, separation of powers and the right of citizens to legal representation and access to natural justice. The deployment of military personnel in the National Prosecution Authority solely serves the purpose of command injustice, the military must not take over civilian institutions. Civilian courts must never be turned into court martials. Behold the New. Change that Delivers!